Symbolicate Mac app crash reports. Is there a better alternative to MacSymbolicator? Is MacSymbolicator really the best app in Developer Tools category? Will MacSymbolicator work good on macOS 10.13.4? 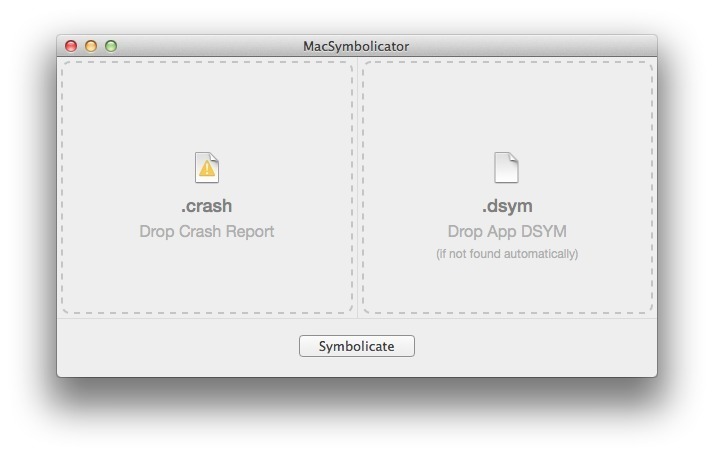 MacSymbolicator is a simple Mac app for symbolicating Mac crash reports. Apple doesn't provide an easy way to symbolicate Mac crash logs like it does for iOS. This app is designed to fill that gap, without resorting to messing with command-line tools or breaking the bank! Now automatically symbolicates and shows the result, as intended.